This is the final selection of my overview of twenty interesting Warp albums from the record label’s twenty years. To read the other parts of this series, please check the table of contents on the right. Jamie Lidell is clearly a very talented person. His voice is incredible, but perhaps more incredible is the fact that in his earlier career he contrived to hide it. His work as part of Super_Collider (along with Cristian Vogel) and his début album Muddlin Gear were dark, murky, electronic affairs. Although Jamie Lidell sang from time to time, he didn’t show it off. With Multiply his sunnier persona was unleashed. Instead of the dark and glitchy music of his earlier material, Multiply is very clearly influenced by soul and funk. But this album is anything but conventional and boring. 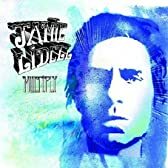 Jamie Lidell’s considerable skills as an experimental and electronic musician are fully utilised too. This gives Multiply a great crossover appeal. This is on the brighter side of the border that separates pop from experimental music. But clearly there was no way to stop him from pushing the boat out a little bit. This makes Multiply equally enjoyable for those who like to tap their feed and those who like to stroke their chin. While most favour Boards of Canada’s earlier album Music Has the Right to Children, for me it’s all about Geogaddi. To me, this album is endlessly fascinating, and always an intense listen. Geogaddi is the darkest of Boards of Canada’s albums. Their other material is known most for its innocent, childlike and nostalgic qualities. Geogaddi retains an element of that, but with a dark undercurrent running throughout. Whether Boards of Canada were trying to send some sort of message by planting these references is doubtful. Such references are few and far between on Music Has the Right to Children, and absolutely non-existent on the follow-up album The Campfire Headphase. I think the references were planted in Geogaddi to create a talking point and nothing more. It certainly got fans talking. This webpage lists a full selection of mysterious messages and trivia about the album, even with a track-by-track breakdown. Needless to say, leaving aside the hidden messages, the music itself is fantastic. Geogaddi is an unsettling album to listen to, but nonetheless hugely enjoyable and an intense experience. One of my highlights is ‘Gyroscope’, which manages to fuse great music with one of my other interests as it incorporates samples of a numbers station. This is a fan-made video for the track. 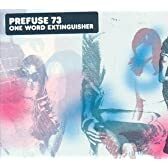 With One Word Extinguisher, Prefuse 73 effortlessly fused experimental electronic music with energetic hip-hop to create a unique-sounding album. The album is jam-packed with ideas — perhaps too many of them. An idea is allowed to develop just as far as it will go and no more, making this an album of many, mainly short tracks. The music is also quite diverse, fusing many of Prefuse 73’s musical interests, spanning hip-hop, IDM / glitch, rock music and perhaps even a little bit of jazz. As such, the album is a fantastically colourful and diverse journey. There is not much chance to catch your breath. There are also plenty of collaborations on this album. While he went a bit overboard with the concept in the following album, Surrounded by Silence, on this album the right balance is struck. I particularly like ‘Dave’s Bonus Beats’, containing drumming by David Lebleu from post-rock group The Mercury Program. The track comes complete with the answerphone message sent to Scott Herren to confirm that the drum track had been sent, adding a personal layer to the music. During this period, Scott Herren was clearly at his creative peak. Very soon after the release of One Word Extinguisher came the accompanying Extinguished, a distinct album made of the “out-takes” from One Word Extinguisher! For a collection of out-takes, Extinguished is surprisingly good — indeed, almost as good as the original album. At the same time as the material released as Prefuse 73, Scott Herren was also churning out quality albums as Savath & Savalas, a project more focussed on folk and Spanish-influenced music. Sadly, his subsequent material has not been nearly as good. In contrast to the exciting explorations of his earlier music, Scott Herren began to use the same recognisable formulas over and over. I have since lost interest in Prefuse 73. Nonetheless, One Word Extinguisher remains an excellent album. Here is a track towards the end of the album, ‘Styles That Fade Away With a Collonade Reprise’. Warp played a blinder by signing Grizzly Bear. Their pre-Warp album, Horn of Plenty, was charming but not particularly special. After signing to Warp, they came up with the wonderful Yellow House which was full of hidden beauty. 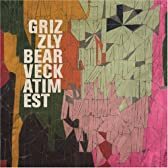 This year, with Veckatimest, Grizzly Bear have released an indie-rock / chamber-pop masterpiece which has propelled them onto the cusp of stardom. Every track is a winner. Gently enticing and maturely constructed, I can’t get enough of this album. This album ought to become a rock classic. Grizzly Bear is easily the greatest triumph of Warp’s recent policy to diversify further from electronic music. I look forward to hearing what they come up with in the future.